A group of investors, in which included businessman Nguyen Bao Hoang, is supposed to spend at least USD100 million for the ownership of Chivas USA. The information was reported on Sports Illustrated, a prestigious sport magazine in U.S., on September 30. As such, Major League Soccer (MLS) is expected to officially announce the new owners of Chivas USA next week at the latest, after the meeting of the league’s Board of Governors this week. The group consists of Henry Nguyen (Nguyen Bao Hoang), Peter Guber, Vincent Tan and Tom Penn. Henry Nguyen is the Managing General Partner of IDG Ventures Vietnam and recently brought the first McDonald’s franchise to Vietnam. This Vietnamese-American venture capitalist, according to Sports Illustrated, has the largest capital contribution in the group to purchase Chivas USA. He would move to Los Angeles as the majority partner in compliance with the terms of MLS. Peter Guber, a Hollywood producer, is a co-owner of Golden State Warriors basketball team, playing at NBA, and LA Dodgers baseball team. Vincent Tan is a Malaysian billionaire, owner of Cardiff City, which played in the Premier League last season. Tom Penn is a former CEO of NBA and an analytics expert for ESPN. The particular amount for the aforementioned group to purchase the ownership of Chivas USA has not been revealed. According to Sports Illustrated, however, the fee is supposed to be in excess of USD100 million, the league record fee that New York City FC paid to join MLS from March 2015. Henry Nguyen’s group has committed to build a new soccer stadium for Chivas USA in Los Angeles. It is believed that they are interested in downtown Los Angeles near the Staples Center and the Hollywood Park racetrack 5 kilometers from Los Angeles airport. 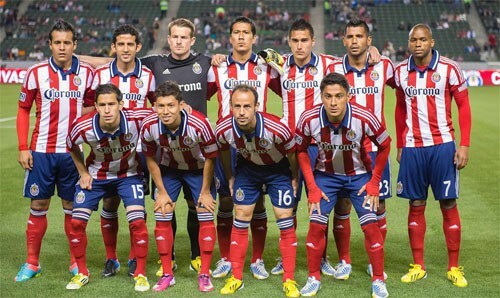 Chivas USA was established and took part in MLS in 2004. The most famous player of this team is Juan Pablo Angel, a Colombian (season of 2011 2012). The most currently well-known of Chivas USA is the experienced defender Carlos Bocanegra (110 times to be a member of U.S. national team). Chivas has not got any champion after 11 seasons in MLS. In the recent MLS 2014, Chivas USA was not so successful as the last-place of the Western Conference at 6-18-6. It could not enter the play-off for the championship. From February this year, this FC is under the ownership of MLS after their former owners, Jorge Vergara and Angelica Fuentes, canceled their investment. Also, according to Sport Illustrated, after completing the sale of Chivas USA, the new owners will withdraw the FC from MLS, close it at least for 2 years for building new stadium, changing name and brand name of the team.